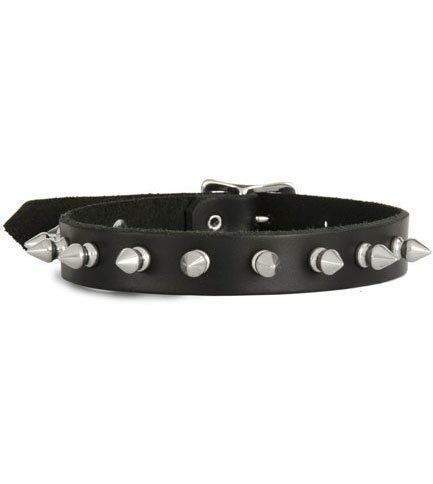 High quality leather choker with .75 inch width and half inch spikes. Fastens with a buckle in the back and adjusts 6 inches at 1 inch increments. Made in the USA. 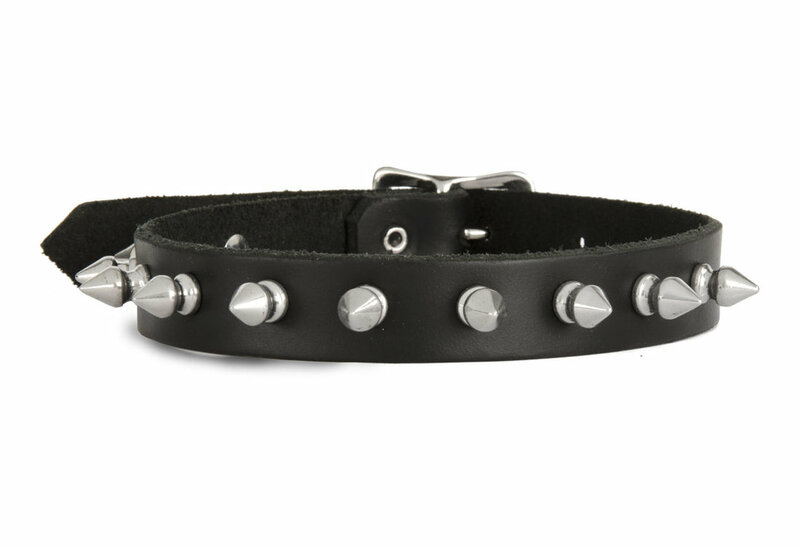 Great choker. Very nicely made, genuine leather. However, it runs a little large and there is lots of spare room. If you buckle it tightly, the extra strap will show around the back. Shipping was ridiculously fast, and I even received it a day early.